You know you’ve truly ‘done’ the outback once you’ve ticked these quintessential experiences off your bucket list. Just what does that much space look like? 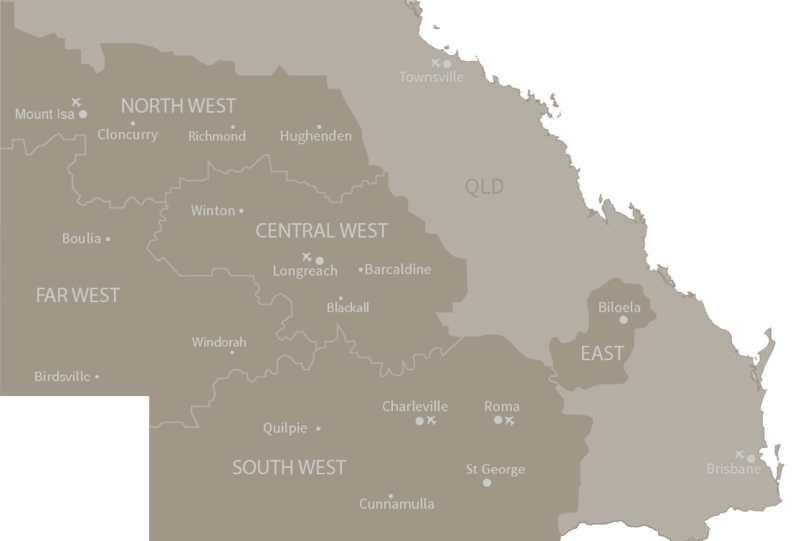 Well, the outback makes up more than half of Queensland – 65% to be exact. Out here it’s not so much about architecture or Michelin star culinary delights, it’s the landscape that captivates you; its ever-changing terrain and surprising parks, gorges and waterholes catching you by the heart strings. There’s something in the atmosphere. 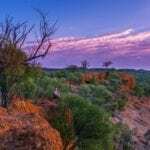 Whether you’re considering getting off the beaten (coastal) track or you’re already headed for the heart of Australia, here’s how to maximise your time in Outback Queensland. Races, rodeos, fishing, camp oven cook-offs… there’s a distinctly Aussie flavour to the outback events calendar. But what really makes these events bigger blockbusters than any regular music festival or race day in the cities is the people you’ll meet – locals from the communities who band together to organise these events and other travellers on the same wavelength as you. 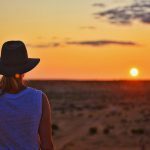 Not that you need an excuse to head to the Outback, but if you did, planning a pilgrimage to iconic events like the Birdsville Races or Mount Isa Mines Rodeo sets the bullseye on your map, then it’s up to you how to make your way there. Far from being the hottest trend or latest fad, these events aren’t just breeze in, breeze out affairs, they’re institutions, running for decades, and generations, year on year to rapturous crowds. It should almost be a rite of passage for every Australian to experience the Birdsville Races at least once in their life – when the population of Birdsville swells from 100 to over 7000 and there’s nothing more Australian than draining a tinnie outside the pub with red dust underfoot. Taking the family on a wild west expedition is rewarded with events like the Winton Outback Festival, which will celebrate its 25th biennial festival in 2019. Just because you’re in the Outback doesn’t mean it’s all Blundstones and Akubras. Pack your black-tie best if you’re headed for Roma’s Picnic Races – the social side of the event almost out-shadows the geldings on the track. But then there’s the weird, wonderful and downright wacky events that give the Outback its special Australian flavour: Can you really say you’ve lived until you’ve been bog snorkelling and entered the best butts competition at Julia Creek Dirt n Dust Festival? Forget Jurassic Park; If you didn’t already know, the Outback is kind of a big deal when it comes to creatures of the prehistoric kind. The red sands have hidden, and continue to preserve, some of the world’s most fascinating paleontology finds. You’ll find Australia’s largest fossilised fish, ‘Wanda’, at Kronosaurus Korner in Richmond right through to a stampede of 3300 giant footprints at Lake Quarry Conservation Park. The biggest and most impressive records continue in Eromanga where one of the world’s largest dinosaurs ever to roam the earth was found, while at Riversleigh fossil site – Outback Queensland’s only UNESCO World Heritage-listed site – you’ll see 25-million-year-old fossils within the limestone. Groundbreaking dino discoveries have been happening on sprawling cattle stations out here since the late 1800s and Queensland has been leading the way ever since. So if you’ve ever felt an affinity with Ross Geller from Friends or have a T-Rex-obsessed five-year-old in your midst, a trip to dinosaur country will deliver the hands-on action you can’t get from Wikipedia or YouTube. Head North West and ogle bones of a Pterosaurs in Hughenden – the pelicans of the Cretaceous inland sea – alongside ‘Hughie’, the seven metre-tall Muttaburrasaurus. In the South West town of Eromanga, discover for yourself why scientists are calling it the most exciting and prolific dinosaur site in Australia. Book ahead to take part in the annual Big Dig in Richmond and head to the Central West township of Winton to experience Dinosaur Canyon – a 300-metre floating concrete walkway past five galleries of bronze true-to-scale dino replicas at The Australian Age of Dinosaurs Museum. Unfortunately we can’t promise you’ll escape phone reception these days as you do your best Thelma and Louise impersonation, road tripping your way through big sky country. But if you put the devices down, time will slow and reverse, back to simpler times when you could lose yourself in the vistas outside your window or have the time to turn strangers into friends. There’s no better place for a pump-up-the-playlist and wind-those-windows-down road trip. 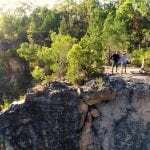 Eight of the 10 official Great Queensland Drives routes traverse the outback, while shorter and more localised journeys offer up easy-to-follow smaller itineraries. Like a Choose Your Own Adventure book, you can pick which one revs your engines based on your hobbies and interests. 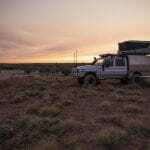 Follow the Natural Sciences Loop for a real-life degree in astronomy, birdwatching, dinosaurs, geology and wetlands, taking in towns from Quilpie, Murweh, Paroo and Bulloo Shires. Paleo-tourism fans will dig the Dino Trail, which links the fossil-rich towns of Hughenden and Richmond (west of Townsville), with Winton to the south on the Matilda Way. For a different kind of trip through time, The Overlanders Way takes you from the Great Barrier Reef to the heart of Australia – aka Townsville to Tennant Creek – and provides the chance to stop off and explore lesser-known attractions like the ghost town of Mary Kathleen uranium mine, closed since 1982. Whichever route you choose, you needn’t cry into your cornflakes once it’s over. There’s always another journey calling your name for next year.